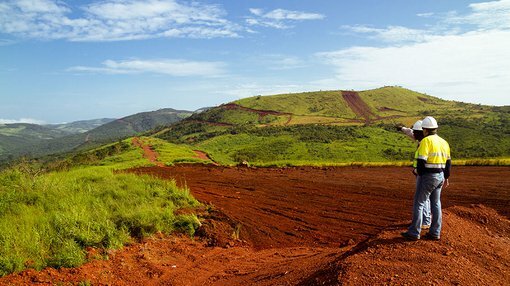 Trek Metals Limited (ASX:TKM) has released further imagery from its ongoing geophysical programme at its Kroussou zinc-lead project JV with Battery Metals (subject to term sheet for TKM to acquire 100% of Kroussou). 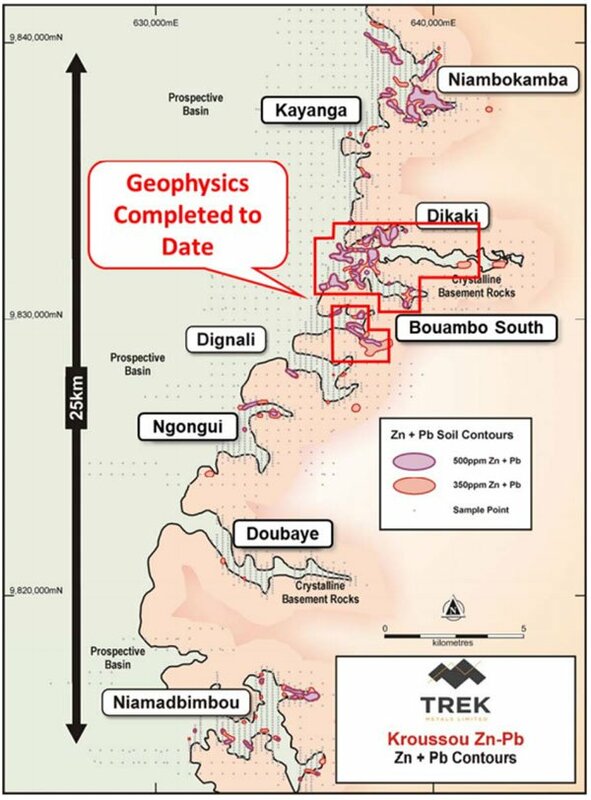 The programme, which consists of induced polarisation (IP) and natural source audio magneto tellurics (NSAMT), has presented further highly prospective anomalies for future drill targeting. 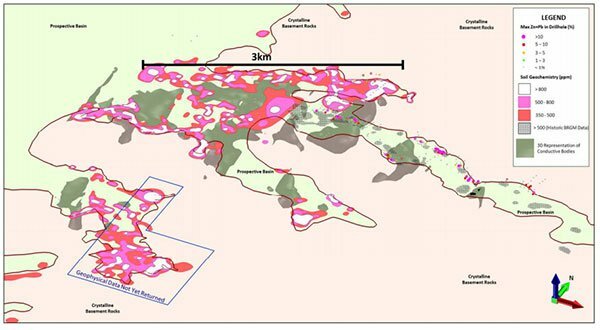 TKM has indicated that preliminary modelling of the incomplete dataset, which is now approximately 80% complete, reiterates that conductive responses are present along strike from previously known mineralisation. Preliminary 3D modelling suggests that several conductive responses may also exceed 1km strike and 400m down-dip coverage. Sub-surface expressions of recently defined soil anomalies (below) are present to the north of the Dikaki channel and extend west into the basin. In addition, the company is continuing rock chip sampling and geological mapping within main prospect areas. 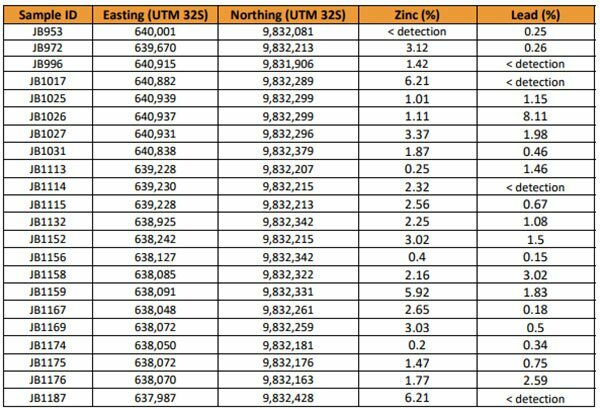 Rock chip sample assay results to date (see below) have returned up to 6.21% zinc and 8.11% lead. Assay results were achieved by portable XRF work. 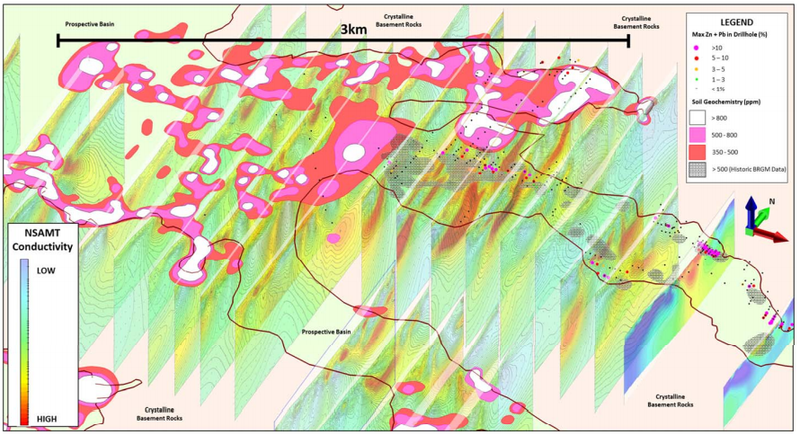 TKM Managing Director Bradley Drabsch spoke on the survey’s progress, “It’s fantastic to see that the geophysical anomalies appear to be reflecting the surface geochemistry quite nicely. “It gives us a good deal of confidence that the data layers we are putting together will lead to robust drill targets that will potentially present game changing opportunities for the Company,” he said.